What did you get at the last gun show you attended? Notice: No liberals were offended in the creation of this video. I’ve recently helped a friend set up at the local gun show. I’ve been a big fan of gun shows all my life. 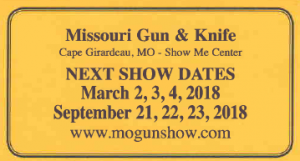 I started going as a kid with my dad and haven’t missed many shows since then, I even try to attend gun shows when I travel if possible. So it’s always discouraging to hear a fellow shooter or firearms enthusiast complain about gun shows. 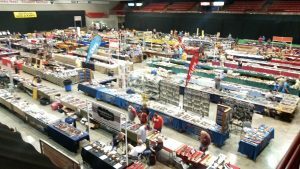 I hope I can offer a few reasons why you may want to attend the next gun show in your area. First let’s explain what a gun show is for anyone who is not clear. They are basically swap meets or flea markets that concentrate on firearms and their accessories. One common complaint about gun shows is the other items besides firearms that show up sometimes. Thinking about it from the promoters point of view, they need to find the public venue to hold the show, arrange for vendors to come and sell, provide security, tables, insurance and all the behind the scenes work involved with an event like this. So if a show doesn’t bring in a lot of people to buy, it will attract fewer vendors to sell, then fewer vendors attract less people and you can see the downward spiral. Of course the bills for the promoter are the same no matter how many vendors or people show up to buy. Since the 1968 Gun Control Act, which created the FFL system of licensing gun shops manufacturers in gunsmiths, licensed gun shops who do business in firearms are only able to sell at their location which is why we don’t see door to door gun sales . However in the FFL licensing it states that the gun shops can sell at official gun shows. Another common complaint is prices at gun shows. Now, I am not rich and I like a bargain as well as the next guy, however I also live in a free market and understand supply and demand. Having a lot of firearms dealers in a single location can create a competitive pricing environment but it is not guaranteed to be. 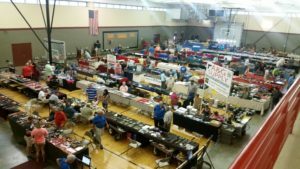 At some gun shows you might find political candidates reaching out to firearms owners, local and state level pro guns pro rights organizations and even one to one conversation with other gun owners. 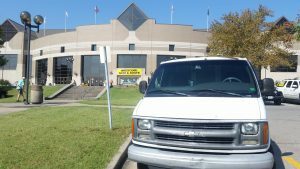 There is so much talk of preparing for emergencies and many people include making contacts in their community as part of that preparation what better place than a gun show to find those like minded individuals? 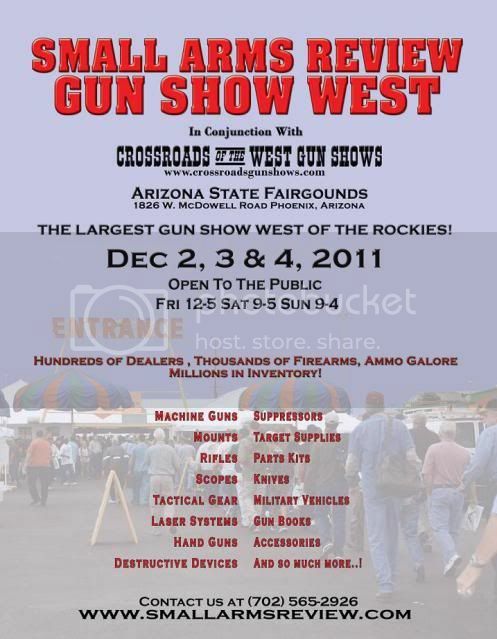 Small Arms Review will be hosting their Western US show from December 2nd to the 4th at the Arizona State Fairgrounds. For a great opportunity to see and purchase the latest and greatest from countless dealers, check it out.